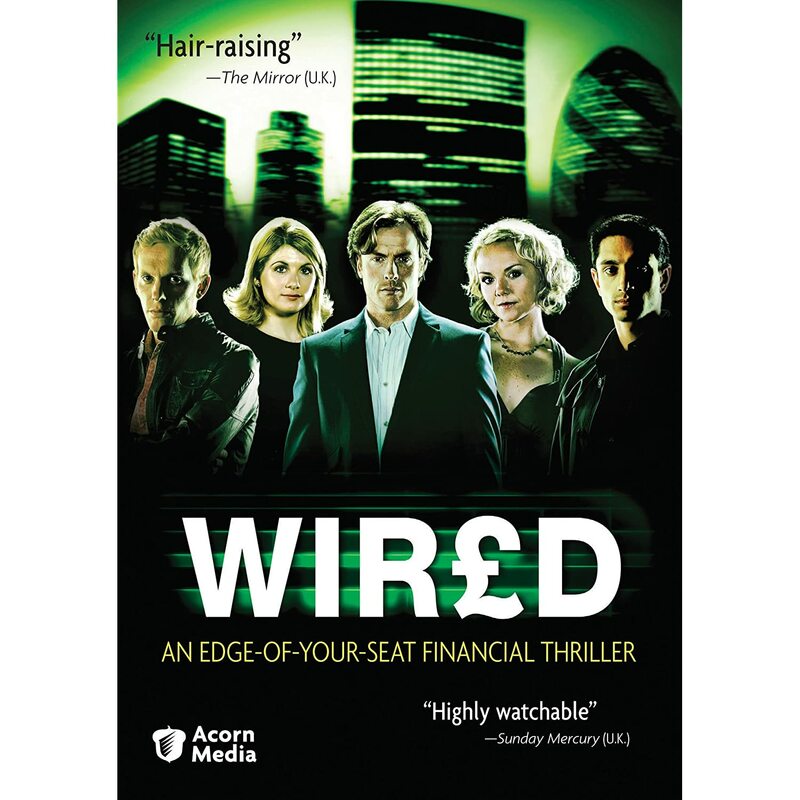 Louise is a financially desperate single mom with a key bank job, making her a perfect target for a ruthless team of villains looking to scam a millionaire bank client. She’s initially approached by a sleazy nightclub owner with an offer of easy cash for setting up a bogus account at her bank, forcing her first of many ethical choices. Eventually, the lure of big bucks forces her hand and she starts her slippery slide down the criminal path, but when a charming cop enters her life she has to come to terms with her actions and choose a side. Initially, it appears that Louise is just a simple pawn being maneuvered by the cops and robbers as they attempt to outsmart each other. She fears for the safety of her child and seems to respect her job and the police, making her an unlikely candidate for permanent recruitment to the dark side. However, as the plot progresses it becomes clear that Louise is playing both sides of the fence, and playing them much better than anyone would expect of her position, turning a two-party race into three. Her end game is never clear until the final scenes, making the story mostly worth following to its twisty conclusion in spite of the project’s shortcomings. The story is compelling, but a bit scattershot in its approach, especially at the beginning where we’re thrust into the midst of Louise’s initial meeting with the nightclub owner while also trying to figure out why a guy at the bar helps her escape. We eventually learn that he’s a cop, but not why he was at that bar, why he was paying any attention to Louise, or how he knew exactly where and when to go in the alley behind the bar to catch her fall during her escape. Likewise, an ending twist with Louise’s boss seems random and desperate. Understandably, they had a lot of ground to cover in a short time, but it’s simply not covered very artfully. By far the worst aspect of the project though is the score, with a constantly driving, tense soundtrack attempting to make the action seem far more interesting than it is but instead serving as an ever-present distraction. There’s only so much juice you can wring out of what mostly boils down to high-stakes computer transactions at the bank, so far better to back off the music a bit and let the scenes breathe. 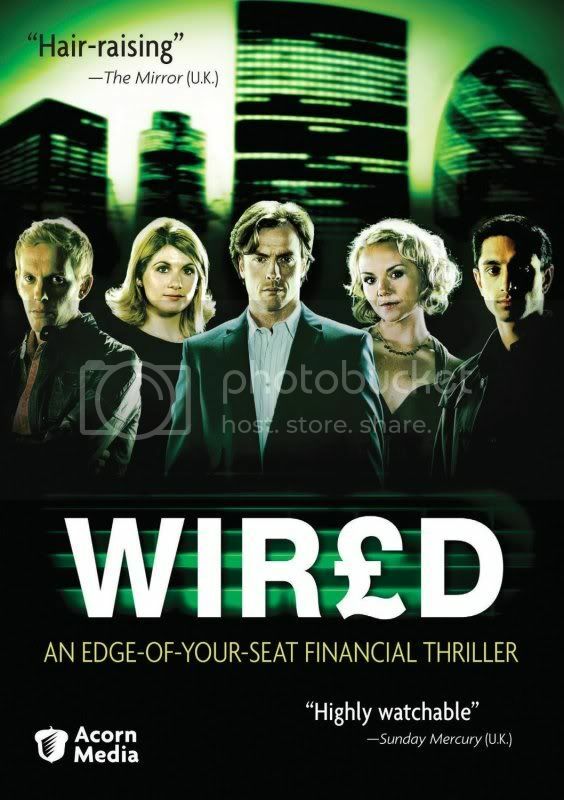 The miniseries was originally broadcast in three parts on ITV in the UK in 2008. For its US DVD debut, the three episodes are compiled on one DVD, and with a running time of just over two hours the package feels more like a movie than a miniseries. There are no bonus features on the disc. The DVD is available on June 21st, 2011. For more information and a trailer, visit Acorn Media’s website. Fascinating that this mini-series aired prior to the worldwide financial crisis truly landing. Random question: any chance that the guy on the right on the box is the assistant dude to Alec Baldwin on 30 Rock? Great job as always Steve!